Frosini Gardens offers spacious apartments in an idyllic location just outside the resort centre of Kassiopi perfect for families and couples seeking a central position with everything on site. With its generous pool, welcoming apartments and warm and friendly atmosphere, the Frosini Gardens offer all the ingredients you'll need for magical holidays to Kassiopi. At the Frosini Gardens, apartments are spacious, boasting modern fixtures and come equipped with air con, making for a haven of relaxation you'll be delighted to return to after days spent making the most of your Kassiopi holidays. Step out from your guest room and head directly to the oversized oasis of a swimming pool, where you can christen your holiday by taking a luscious dip! Then laze around on a lounger, enjoying the surrounding colourful gardens and having the holiday in Corfu of your dreams. A children's pool and pool bar convenient for snacks and drinks makes the Frosini Gardens a good pick of family hotels in Kassiopi. 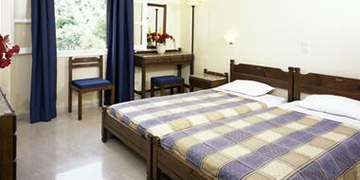 You'll find that the Frosini Gardens Apartments are ideally placed as a base for exploring the delights of Kassiopi. There are plenty of shops and restaurants within walking distance of the complex, the beach is a mere 250 metres away, and the centre of the resort is only 300 metres. You might also visit the picturesque and bustling harbour, where you can enjoy great food, and linger for the nightlife. Whether you want Kassiopi holidays that are tranquil, fun-packed, or both, visit the Frosini Gardens and collect a suitcase full of happy Corfu memories. 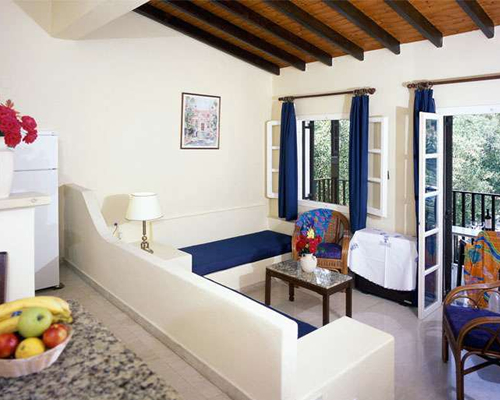 The complex consists of 17 one bedroom apartments, all split level, with 2 steps down to the lounge/sleeping area. Each apartment has a private bathroom with shower and w.c, hairdryer, air conditioning, fully equipped kitchen, safety deposit boxes and balcony or terrace. 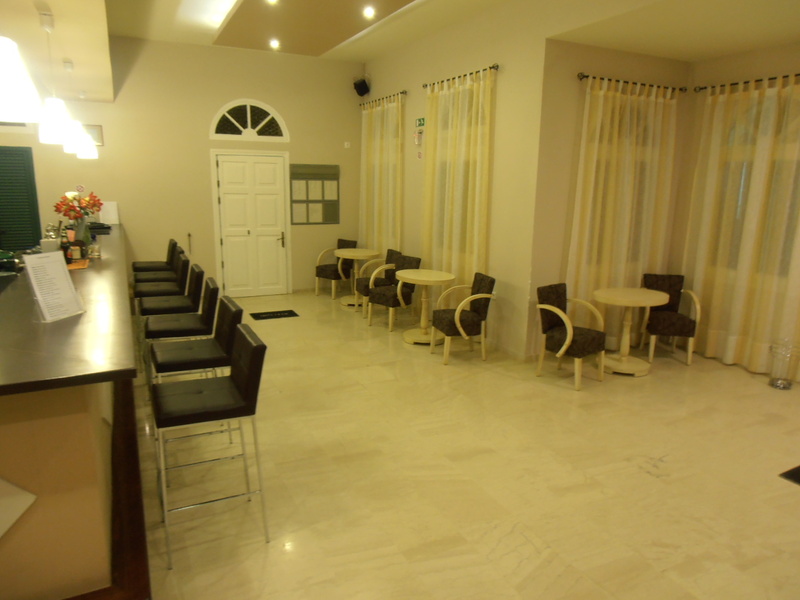 Located next to the swimming pool, it offers all types of drinks and juices. Also, you can find a varied selection of snacks. Enjoy a magnificent time whilst you relax after a long day of visiting Corfu. 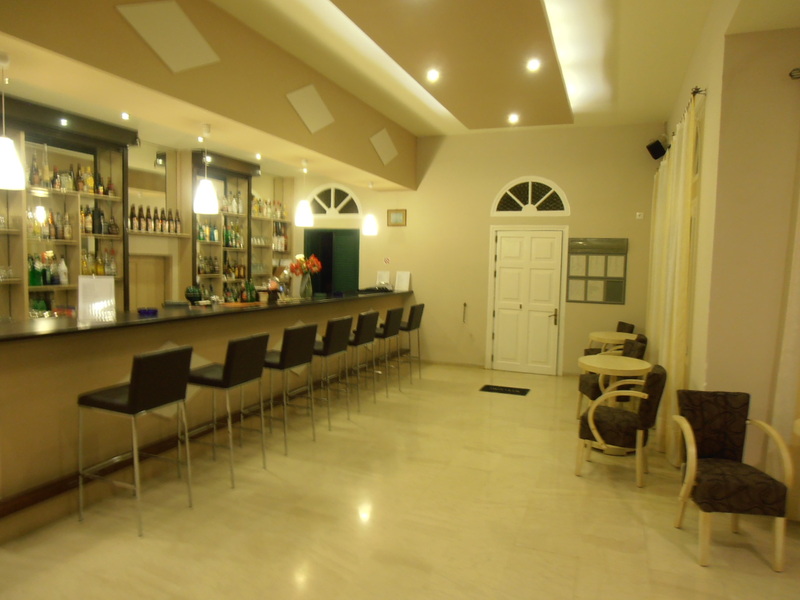 Our pool bar includes a lounge area with satellite TV, pool table and a friendly reception. 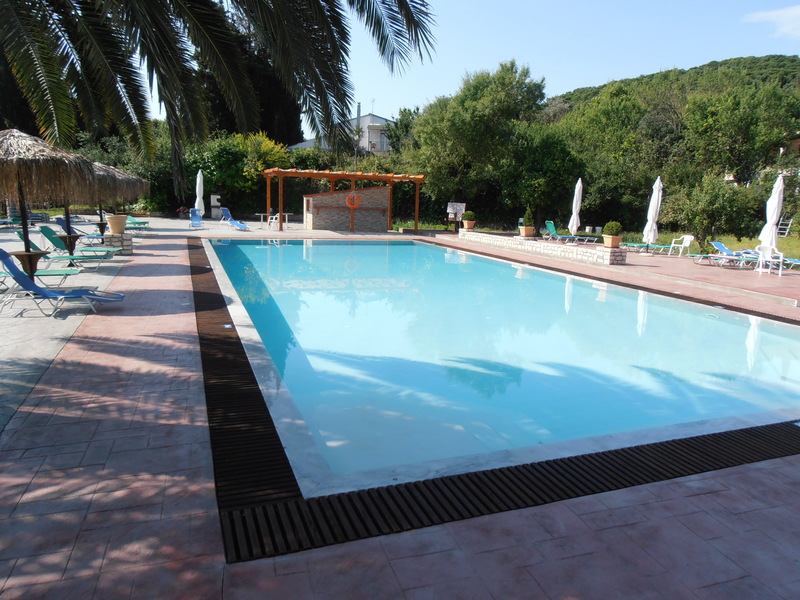 Our two beautiful outdoor pools, one for adults and one for children, include a sun terrace with new sunbeds and sunshades surrounded by a beautiful garden with mediterranean plants. Theres is also a lounge area with satellite TV, pool table*, where you can chill with a drink or a snack from the pool bar. What we provide in our rooms! When you visit our hotel, the warm and personal service is sure to make your stay a delight. Enjoy the hospitality! Thank you to George and Kostas for making us all welcome at your apartments. There was 10 of us staying at the frosini gardens and we had an amazing time. The apartments are very clean, the cleaning lady doesn't work on a Sunday but came into our 3 apartments to empty the bins. Some more of our family were staying at another resort and they came over to visit, again they were made very welcome. Yet again I can recommend the Greek salad it was delicious and so was the tuna salad, in fact everything we ate there was lovely. The pool area is lovely with plenty of sun beds. Everything was great, thanks again. 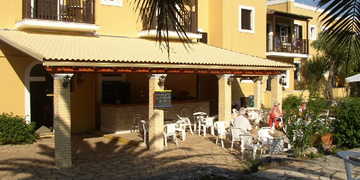 A grate place to unwind & relax with warm & friendly staff who deal with any issues very quickly, Fabulous very clean fresh water pool with lovely baby pool, Close enough to all the things you need Beach,Tavernas,Bar's,Supermarket,Ect. We all got grate tans put on a few pounds and had a fabulous time with some magical moments that Holidays are taken for "I'll be back". Well just back from Kassiopi having stayed at Frosini Gardens for a week. 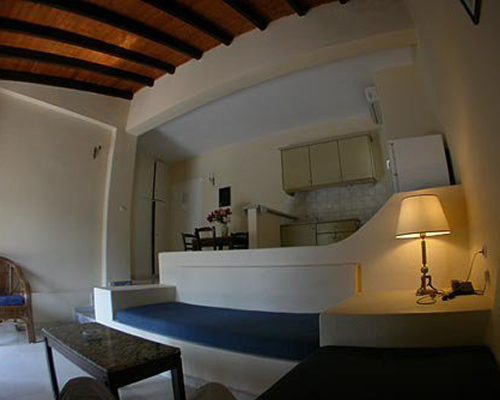 What lovely accommodation, split level kitchen and lounge, good bathroom with lots of hot water. Pool area is great and has lots of sunbeds for guests and visitors alike. Go in and have a drink and soak up the sun you will luv it! New owners are fab and will do anything to make your holiday enjoyable. My partner asked for a drink that was not available, within hours it was delivered! How good is that! Real family run aparthotel which makes it even better. George and his dad are continually making improvements and grandma was weeding the garden. She is 88! Anyway if you are looking for roomy accommodation near to all the local amenities this is the place to go. Try it you will not be disappointed! We stayed at the Frosini Gardens at the end of June 12, had a great time. George and his dad made us really welcome. I will defo be going back to stay there again,so George get them cocktails ready.Pool area was great as too the bar, Kostas greek salads were fab,we have been to kassiopi many times and stayed in different places so we knew the location. George has made some really great improvements since he took over. Frosini Gardens has been inducted into the TripAdvisor Hall of Fame!! Frosini Gardens is a 2018 Travelers’ Choice Award Winner! Frosini Gardens is a 2017 Travelers’ Choice Award Winner! 2017 TripAdvisor Certificate of Excellence Winner! Kassiopi is a lovely fishing village on the northeast coast of Corfu,Kassiopi Corfu Greece about 36 kilometres from Corfu town. 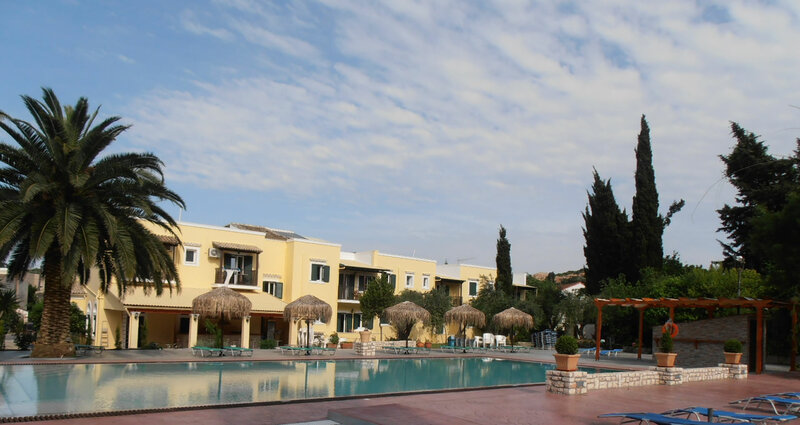 With its generous pool, welcoming apartments and warm and friendly atmosphere, the Frosini Gardens offer all the ingredients you'll need for magical holidays to Kassiopi.